← Bill Stratton – take one. While searching for Liaison Pilot information online recently, and L-5 pilots in specific, I came across information about Lt. Col. Walker, who served in the Italian Theater with General Mark Clark. Lt. Col. Walker served served with high-ranking officials from the US and Allied forces in the Mediterranean Theater of Operations for three years. 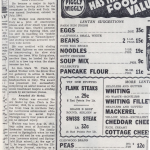 The next paragraph is a brief synopsis of Walker’s story – as provided by a member of the family. It has been slightly edited (with permission). Forrestal and General Jacob Devers. He won many Decorations including the Silver Star, Legion of Merit and Air Medal’s. 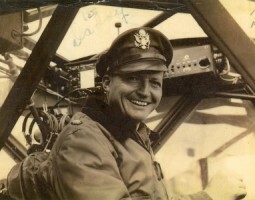 He is mentioned is several books about WW2 including General Clark’s “Calculated Risk” (Gen. Clark tells of several of their escapades & crashes) and Margaret-Bourke-White’s “Purple Heart Valley.” In at tragic accident, Lt. Col. Walker was killed on 19 Feb. 1945 while beginning a short leave to fly home to visit his wife and daughter. The English transport aircraft in which he was a passenger crashed on takeoff from the Rome airfield. There were no survivors. 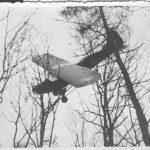 Speculation at the time was that the aircraft was overweight and out of balance. 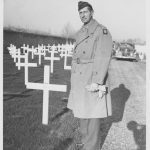 Lt. Col. Walker was buried in Italy in a ceremony presided over by General Clark. His remains were later brought home and are buried in Geraldine’s hometown of Washington, Indiana . 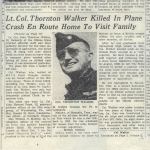 On 29 May, 1951 in a ceremony presided over by General Mark Clark, “Walker Air Strip” at Fort Monroe, Virginia was dedicated to the memory of Lt. Col. John Thornton Walker. Geraldine and Connie Ann were in attendance. 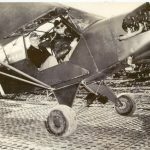 While Lt. Col. Walker’s story may not have been typical of the experience of most Lbird pilots, it highlights the usefulness of these aircraft. They were beneficial from the lowliest private needed medical assistance to highest level commanders. 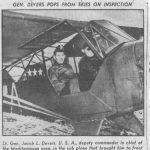 He transported Gen. Clark numerous times and places during the US Army’s march through Italy and survived several crash landings – including once, when he was flying an L-4 and was chased home by German Bf-109 fighters. 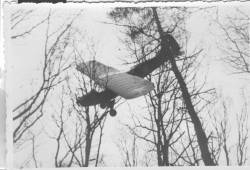 He ended up “landing” in a tree – but was able to climb down and walk away. 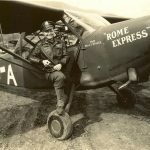 Lbirds.com is pleased to honor the memory and service of Lt. Col. Walker by offering a version of our L-5 model that you can build and display in the markings of one of his aircraft – “Rome Express” in our store (Pending re-upload). This was one of several aircraft he used during the war carrying Gen. Clark and others, and the aircraft carried the inscription Maj. J. T. Walker on the aircraft side. This entry was posted in Liaison Pilot, Liaison Pilot Bios and tagged Model. Bookmark the permalink.